Now you can get the popular E-Force Supercharger for your Pentastar equipped JK! This E-Force Supercharger system is designed exclusively for the Pentastar 3.6L V6 engine. It is designed to increase torque for improved towing and off-road performance when you need it the most, while retaining great daily driving manners. It has been designed from the ground-up and utilizes the Eaton® 1320 TVS rotor assembly for maximum efficiency in a compact package. The manifold assembly also features a dual pass intercooler for reduced air temperature. Our Jeep supercharger assembly features a unique design that allows access to OEM oil filter for no hassle filter changesand a simplified installation. INSTALLATION NOTE: 2015-17 Jeep Wrangler Supercharger Systems #1528 and #15282, WILL REQUIRE the ECM and TCM to be sent in for modification... NO HANDHELD PROGRAMMER INCLUDED FOR 15-16 JEEP MODEL YEARS. This is an 8-10 day process/waiting period from the time they are received! Every step of the process is handled with next day shipping. 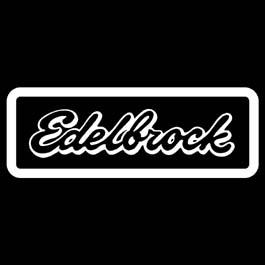 Supercharger systems sold without Tunes are only emissions legal when used with the correct Edelbrock tune, which can be downloaded on the supercharger tech support page.